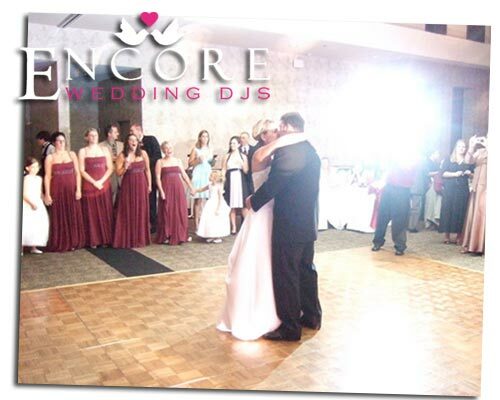 Last weekend we partied in style with Elizabeth and Matthew @ their wedding reception @ Summit on the Park in Canton Michigan. We also got to work with Tom again, he does photography for Precious Memories. Something neat that I noticed during dinner, was that Liz and Matt put custom pizza cutters on all the tables that said “A Slice of Love”. Their family was mostly into rock and country, and we actually got a nice video shot below with everyone on the dance floor in a circle singing to Garth Brooks. What a fun reception, and congratulations to the Thompsons!